What is the true power of architecture and interior design? To surround? To engage? To guide users thru space? Yes, but it should be a lot more. 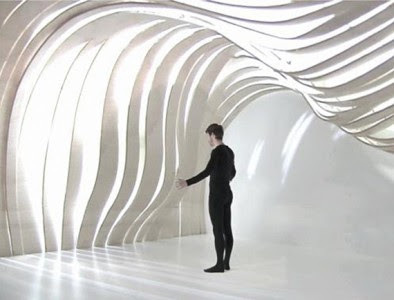 It should be an experience, an architecture that interacts, and connects its user to space thru movement and all of one’s senses. As an architect and designer myself, I want to design experiences: moments where emotion, contemplation, learning and memory is addressed. This narrative created between the occupant and the building allows its user to transform into a participant, where he/she is open to receive architectural cues and be inspired in some way. The participant’s needs are visualized through one’s senses. This kind of design is influential and needs further exploration because it has the capacity to teach, to dream and promote a positive difference in someone’s life. If you connect with what I am saying, please share your ideas/ projects you know of on my FB page. I may highlight your project or idea on my 'Sunday Spotlight'.